CMR series meter skids are state of the art metering technology, designed for Fiscal and Operational loading systems, products range from light and heavy including crude and bitumen applications as well as liquid propane gas (LPG). Typical applications are loading and unloading facilities such as refineries, marketing terminals, bonded facilities, airport and military tank farms etc., anywhere products are transferred, and or authorities need to assess excise taxes and duties. The concept of skid manufacturing within a quality controlled environment allows high standards to prevail. Shortening installation time and on site easy installation is definitely a plus. Relevant metrological approvals by the respective authorities also guarantee standards of accuracy and measurement. Modular design allows easy of handling and 'plug & play' installation while safety and servicing are standards built-in the skids for life cycle cost benefits. 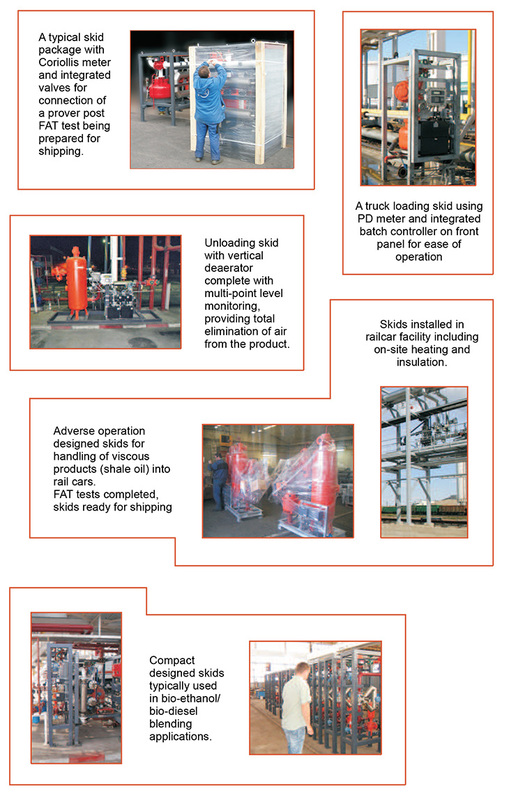 Each skid can be tailored to customers needs, such as dosing, batch control, grounding safety systems etc. Design allows complete flexibility of loading facilities, and future expansion or up-grades (example: primary installation bottom loading, easy convertible to top) making for a cost effective and easy solution. Designed normally DN 100 (4”) in Top or Bottom configuration. Flow rates from 60 m3/hr (1000 L/min) to 150 m3/hr (2500 L/min), but configurable especially for Biofuels DN 50 and DN 80. Design pressures 16 bar or 150 psi. Configurable metering available to the behest of customers, Coriolis, Positive Displacement, Turbine flow meters. Light product skids equipped with integral strainers/air eliminators. High viscosity, high temperatures or Unloading applications the Air Eliminator / Strainer are separate units. 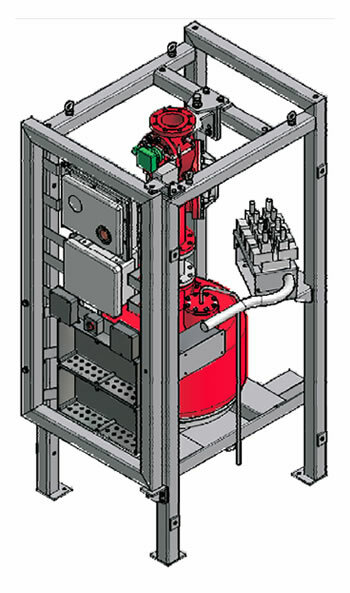 Electro-Hydraulic membrane actuators on skid outlet allows for smooth flow control and protects longevity of measuring equipment and pumping and in addition to automatic shut-down when required. High Viscosity and high temperature products - an option to use butterfly or segment valves. 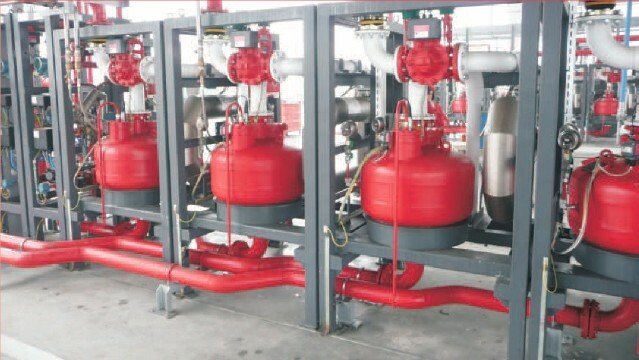 CMR skids are infinitely configurable to customers needs such as inlet isolation valve, manometers, additive dosing, batch controller and depending on climatic conditions heating and insulation are available.